To say this past game was a rout would be an understatement. Georgia toppled the Minute Men to the tune of 701 offensive yards and 426 rushing yards – an all-around offensive explosion even with every back up imaginable in (in fact, one of the radio broadcasters were not even sure on the name of one of the Georgia players at one point because they were so buried on the depth chart). Georgia had three quarterbacks attempt passes and all three having a QBR rating above 90 according to ESPN. To say the least, Georgia did not struggle a bit in the offensive department. Georgia’s defense was just as tough, despite UMass scoring 27 points – most of which was scored on the back-ups or set up by Georgia errors (Godwin’s muffed punt return). All around, it was a strong showing. 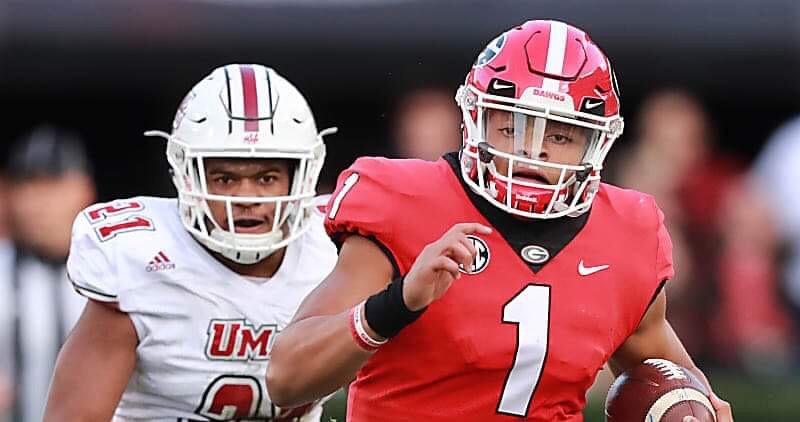 The main storyline coming out of the game today was undoubtedly the showing by Justin Fields – the best showing all season by the freshman. He seemed comfortable in the pocket and didn’t abandon his reads as fast as he had before, likely finally growing comfortable at the college level. Between the explosive run and the deep bomb, Fields looked all the part of the 5-star prospect he was billed to be. He would have had another long bomb touchdown if it were not dropped in the end zone. He looked incredible to say the least – however, there is always a caution in this excitement. Fields was not going to face much pressure today against UMass – nor was it going to have a lot of confusing schemes defensively to throw Fields off his game as UMass does not have that level of talent to pull it off. Even the third string quarterback, Downing, was able to finish the day 4/4 on passing (granted not on deep routes but still). This offensive performance was fairly expected for a game where one team was basically paid to come take a beating on the sacrificial alter of Sanford Stadium. The most important part of this game was that it was over by the end of the first quarter. Georgia rested most of its starters, stayed mostly healthy, and got a lot of experience playing for the younger players. Overall, there is not much that can be complained about nor taken readily from this game – it is just what one would expect from a tune up game. Justin Fields: 5/8 passing for 121 yards and 2 touchdowns; and 7 carries for 100 yards and another touchdown. Tyler Simmons: 2 catches for 81 yards and 1 touchdown; 1 carry for 49 yards and 1 touchdown. 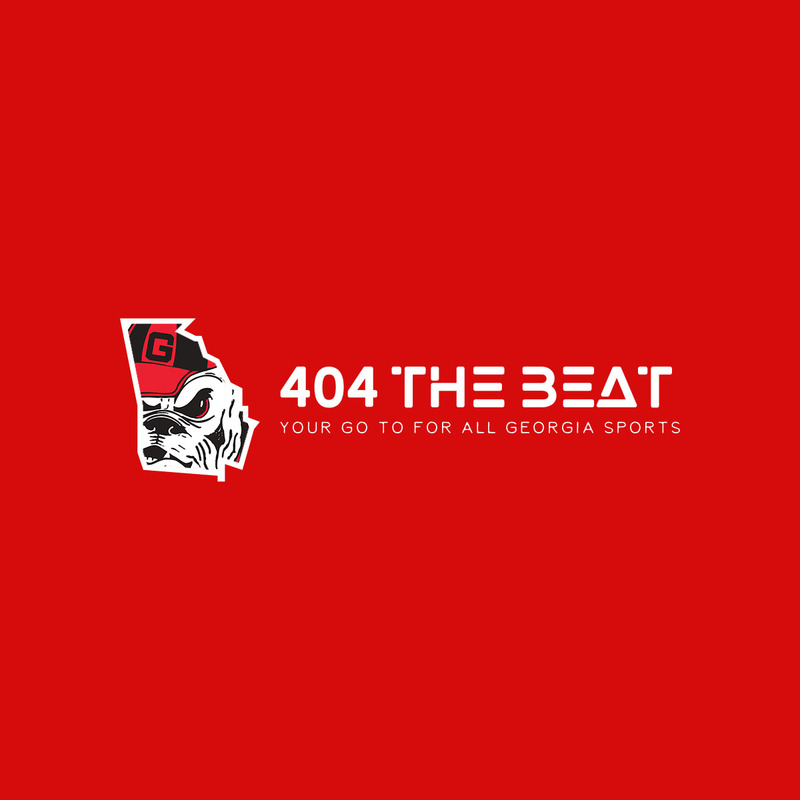 Next week see’s the annual renewal of Clean Old Fashioned Hate as Georgia seeks to defend home turf from Tech – who beat Georgia last time they were in Athens. Tech is coming off its 4th straight win this season after their overtime victory over Virginia. Tech seems to have found its groove like Georgia has as of late with their offense finally getting in gear. If Georgia can defend home turf for this final game of the regular season, it will give the Dawgs plenty of momentum heading into the SEC Championship game. The game will be a noon kickoff.